ARAG plc, the UK legal protection and assistance specialist, has announced 12% growth in premium under management for 2015, its ninth full year of trading. In what have been turbulent times for the legal expenses insurance sector, ARAG UK’s Gross Written Premium (GWP) under management increased from £39.6m in 2014 to £44.3m in 2015, generating a pre-tax profit of £2.7 million. 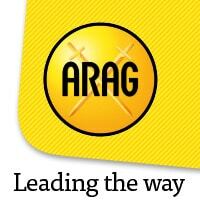 “The challenging market conditions look set to continue, with greater regulation, further legislation and the recent Insurance Premium Tax increase all playing their part, but ARAG’s positive and highly proactive approach to market challenges puts the company in a highly competitive position. During the year ARAG continued to pick up key industry awards, retaining both the overall Team of the Year and Legal Expenses Team of the Year awards at the Underwriting Services Awards, as well as winning the Managing General Agent Team of the Year award for the first time. The company also secured ISO 27001 certification for information security management during 2015.